As I mentioned in my Lace it up post, I am diggin’ the 70’s trends that are coming out. 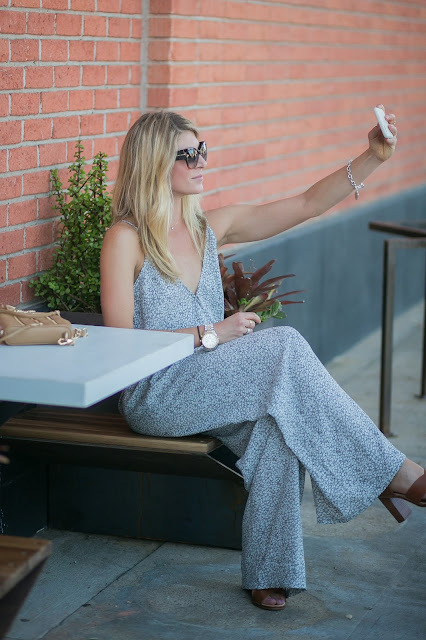 One of these trends that I jumped on was the jumpsuit! This one piece can be dressed up or down and is so comfortable, I have thought about sleeping in it. This weekend I will be at the spa celebrating my birthday and plan on wearing this all day and night to celebrate. As I ring in another year, I am really looking forward to what it has in store for me and plan on looking the part!